The opinions expressed on this website are solely those of the webmaster and do not necessarily reflect the opinions of either the International Alfa Romeo 1900 Register or the 1900 Register website. I am simply a 1900 enthusiast, not an Alfa 1900 owner, expert or historian. However, Peter Marshall (UK) and Joost Gompels (USA) are all of those things and more, and they welcome your Alfa 1900-related inquiries. Website inquiries, though, should go to me. Is it a Series III or a Tipo 4? Roman numerals or Arabic numbers aside, the 1900 Touring Sprint/Super Sprint coupes are commonly designated Series I, Series II and Series III, for the three obvious generations of these coupes. However, the Series I Touring Sprint came in two varieties, the earlier cars with doors that covered internal rocker panels ("long-door" Sprints), and the later cars with shorter doors that ended above external rocker panels ("short-door" Sprints). 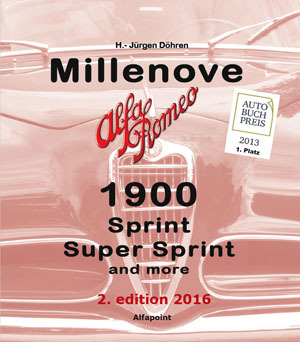 Consequently, Peter Marshall, of the International Alfa Romeo 1900 Register, uses the term "Tipo 1" to describe the long-door Series I Touring Sprints and "Tipo 2" to describe the short-door Series I Touring Sprints. Continuing along, then, the Series II Touring Super Sprints become, in Peter's scheme, Tipo 3 and Series III Touring Super Sprints are called Tipo 4. This website uses Peter's designations for the Touring Sprint and Super Sprint coupes. Longtime 1900 owner Lionel tipped me off about this article on Petrolicious. The car, while not actually an Alfa, is 1900-powered and quite attractive, especially in not-red! Dan Allen tells us that his Matta, AR51-00370, will be featured in a Donald Osborne segment on an upcoming episode of JLG. Be sure to watch for it! This Tipo4 cabriolet (*10562*), with an extensive provenance, is now for sale for an undisclosed price. They don't come much more desirable than this! There were numerous collectible Alfas at Artcurial this year. Here's a collection of Results pages that I have assembled from Artcurial's website. This unfinished restoration of a right-hand drive 1900 PF Cabriolet (*01336*) appears on several European websites. PF cabs rarely come to market. Thanks, Bosco! The new book by 1900 owner and SCM contributor Donald Osborne, Stile Transatlantico..., is beautifully done and a great addition to one's library. Hans-Juergen Doehren's must-have 1900 "bible", Millenove, has been updated, improved and expanded. Pricing is 78 Euros for the book plus 35 Euros for shipping, presumably by air to USA addresses. Contact Juergen directly to order your copy. With increasing Alfa 1900 values come more cars with questionable provenance. 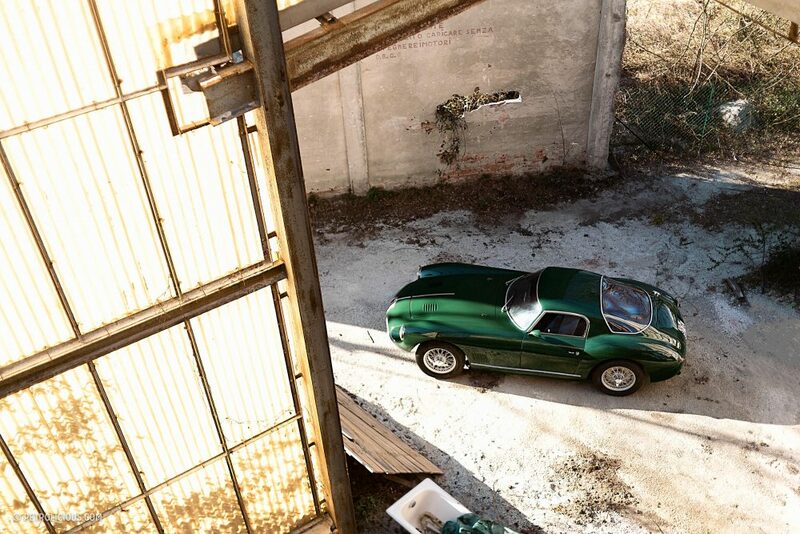 If you think you have found a "lost" Zagato, do your homework and be prepared to prove its authenticity! I was sent a link to an 18-minute YouTube video of classic Alfas gathered at Laguna Seca in 1985, and featuring Phil Hill and Fangio driving the 159 Alfetta. Kudos to Hans Sipma! Bernd Kussmaul (*02115*) cautions new 1900 owners that using the proper gear oil is essential for getting the most out of 1900 5-speed gearboxes, perhaps 4-speeds as well. Paolo Galafassi's Classic Vintage Car company is making reproduction front brake scoops for 1900CSS (Super Sprint coupes) and 1900-TI sedans. Contact them for more information. Bill Noon at Symbolic International shares his thoughts on why Alfa 1900s, in particular the Tipo3 CSS Super Sprint coupes by Carrozzeria Touring, are so special. Thinking about restoring your Alfa 1900 or other classic, especially if it's your first go at it? You should read about TJ's experience with *10321* first. Check out the News Archives for news stories that have disappeared from the home page. and a link is on the menu bar.